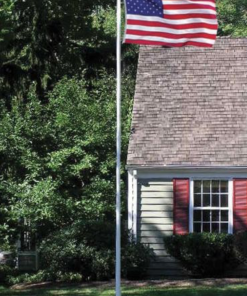 Ideal flagpole set for budget-minded installs using 3×5 flags. 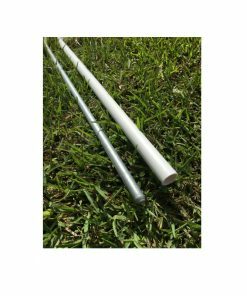 This 3-piece white steel advertising flagpole measures 10′ when assembled. 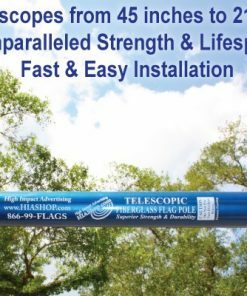 Perfect for budget-minded installations with 3×5 size or smaller flags. 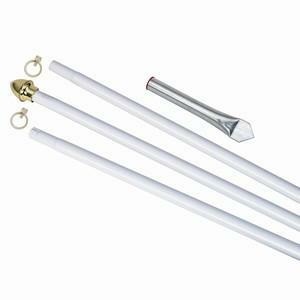 Includes rings with screws and a gold ball top. 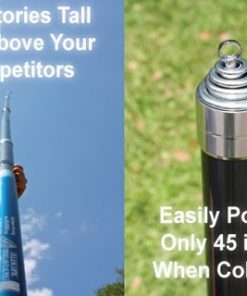 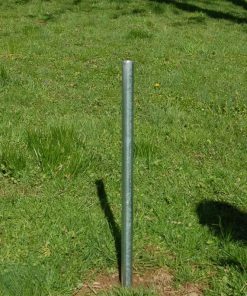 A ground spike is also included for in-ground installation.